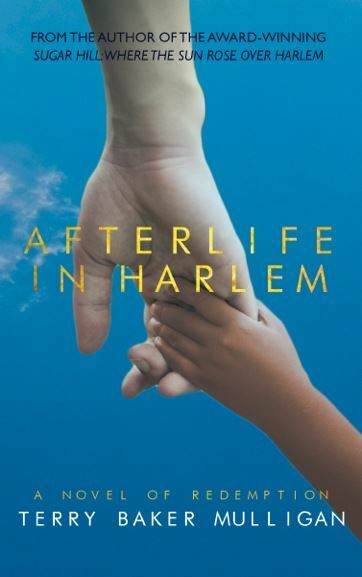 Using Harlem’s cultural institutions and memorable characters as her backdrop, Mulligan writes joyously about weathering adolescence while history unfolds around her. This feel-good story resonates with humor and warmth as she chronicles her life among evangelists, curly-haired doo wop boys, snuff-dipppers, Fidel Castro’s entourage, interracial marriage, chitlin’ parties and testy interactions between West Indians and Southern blacks. Meet Mr. Big B, the neighborhood numbers banker; join her at the Apollo for Thursday matinees and visit Smalls Paradise and the Hot Cha, when she and her father go bar-hopping on Sunday mornings. She befriends baseball’s Willie Mays in the shoeshine parlor, paints posters for the 1957 March on Washington, and tries, but fails to ingratiate herself into junior black society. This book is a living document of mid 20th-Century Harlem with appeal for all America. 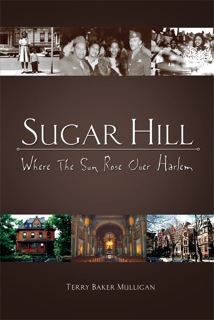 Terry Baker Mulligan was born and raised on Sugar Hill, in Harlem. She is married, has two grown sons and now lives in St.Louis, MO, where she teaches writing at St. Louis Community College. This is her first book. Former president Bill Clinton—now “First Gentleman” to President Hillary—makes a haunting discovery in his Harlem home: the ghost of Alexander Hamilton, on sabbatical from Heaven to get Bill back on track. Taking Bill back in time to Indian bordellos, slave auctions and political chicanery that almost lost the American Revolution, Hamilton helps Clinton perform a minor miracle in upper Manhattan that brings peace to restless spirits both living and dead. Terry Baker Mulligan is a double winner of the 2013 Benjamin Franklin Award for Autobiography/Memoirs and Multicultural writing. She also received a 2012 Independent Publishers Award (IPPY) for Multicultural Adult Non-Fiction. Terry grew up in Harlem.